He will present his latest book: Says Who? This was the trenchant diagnosis by Paul Verhaeghe at the end of his acclaimed book about identity, What About Me? Now he returns to investigate another aspect of our lives under threat: authority. 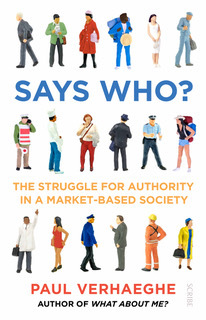 In Says Who?, Verhaeghe examines how authority functions and why we need it in order to develop healthy psyches and strong societies. Going against the laissez-faire ethics of a free-market age, he argues that rather than seeing authority as a source of oppression we should invest in developing it in the places that matter. Only by strengthening the power of horizontal groups within existing social structures, such as in education, the economy, and the political system, can we restore authority to its rightful place. Whether you are a parent or child, teacher or student, employer or employee, Says Who? provides the answers you need. Paul Verhaeghe (born, November 5th, 1955) is a clinical psychologist by training, psychoanalyst by education. His first doctorate (1985) dealt with hysteria; his second (1992) with psychodiagnostics. He works as a professor at the University of Ghent. Since 2000, his interest has mainly focused on the impact of social changes on psychological and psychiatric difficulties. In 1978, Verhaeghe graduated with a master's degree in Psychology at the University of Ghent (RUG). In 1985, he obtained his PhD in Clinical Psychology (RUG) and in 1992 a Special Doctorate in Psychodiagnostics (RUG). He received his initial psychoanalytical training at the Belgian School for Psychoanalysis (training analyst J. Schotte), then at the Ecole de la Cause freudienne (Paris-Brussels). After his studies, he worked as a clinical psychologist – psychotherapist at a mental health centre (GGZ) in Sint-Niklaas. Then as a clinical psychologist – psychotherapist at the Special Youth Care centre in Eeklo. In late 1981, he started his PhD research at the University of Ghent. In 1992 he was appointed Associate Professor. In 1996, he acquired the rank of Full Professor. He teaches Clinical Psychodiagnostics, Psychoanalytical Therapy and Gender Studies. He was head of the Department of Psychoanalysis and Consulting Psychology from 1999 till October 2014. As the department chairman, he motivated a new generation of psychoanalytically trained psychologists to engage in empirical and clinical research. Currently, the department's focus is on the efficacy of psychotherapeutic processes and psychodiagnostic systems as understood from a psychoanalytic perspective. In 1998, Verhaeghe became known for the publication of Liefde in tijden van eenzaamheid (Love in a Time of Loneliness), a psychoanalytic reading of the postmodern man-woman relationship. Despite its levels of difficulty, the book was an unexpected success and has since, been translated into eight languages. In 2008, a slightly reworked version was published by the Bezige Bij publishing house. Until 2000, he mainly published articles in which he combined the work of Sigmund Freud and Jacques Lacan into a clinically useful theory. With Over normaliteit en andere afwijkingen (2000), he offered an alternative to the DSM-diagnostics; the American edition of the book On Being Normal and Other Disorders received the Goethe Award. One point of special interest in this work is a redefinition of the actual pathology, a forgotten Freudian diagnostic category, in which alexithymia and impaired interpersonal relationship are central. Shortly after 2000, Paul Verhaeghe was part of a study group under the auspices of the IPA (International Psychoanalytic Association) on the interface between neuroscience and psychoanalysis. The collaboration with Jaak Panksepp and Mark Solms, amongst others, convinced him of the uselessness of any approach trying to understand humans solely on a psychological or a somatic level. On this basis, in Het einde van de psychotherapie (The end of psychotherapy), he adopts a very critical position against the reduction of psychological and psychiatric disorders to neurobiological, hereditary diseases, and in Identiteit (Identity) against a positivistic and individualistic approach of psychology. At the start of the new millennium, his attention went to the relation between the explosive growth of mental disorders and the social changes, in combination with the dominance of psychodiagnostics based on labels (DSM). In a keynote lecture in Dublin (2007) Verhaeghe stated that the classical psychotherapy is disappearing because of the combined effect of DSM-diagnostics and the reduction of psychotherapy to evidence based practices. These ideas were further elaborated in a book Het einde van de psychotherapie (The End of Psychotherapy) (2009), which knew ten reprints in a short period of time. Based on research by his department into burnout and depression, his attention focused more and more on the combined effects of changes in society and work organisation. He elaborated his ideas in the Oikos lecture in 2010. Both the publication (Verhaeghe, 2011) and the digital version on the website of the think tank Liberales, were widely read. In 2011 this work was awarded 'essay of the year' by Liberales. Its further exploration brought him to the conclusion that contemporary identity is based on a compelling neoliberal ideology, and that such an identity goes against our evolutionary ingrained social nature. At the end of January 2012, during a Belgian national strike, Verhaeghe gave a sharp public lecture at the art centre Vooruit, Ghent, explaining how neoliberalism has done away with politics. Later that year, he gave the annual Paul Verbraeken lecture in Antwerp. He argued that neoliberalism is a contemporary form of social Darwinism, using the university and the hospital as case studies. The subsequent publication of the text received a lot of attention in Flanders. This lecture reappeared in two chapters of Identiteit (Identity), a book that was published in the autumn of 2012. Both in the Netherlands and Flanders it found its way to a wide audience, both left and right wing. German and English translations have been published. 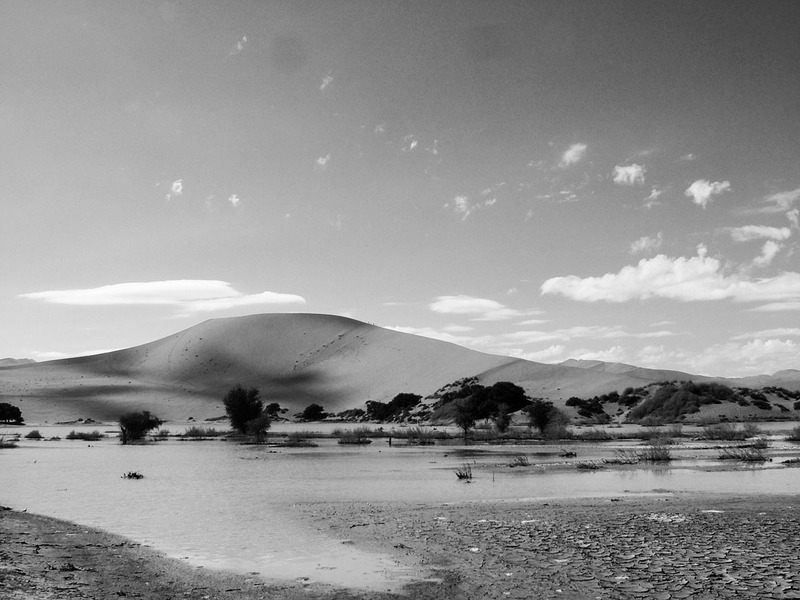 In the first section of Identity Verhaeghe argues that our psychological identity is a construction on top of a well-founded evolutionary substructure. Evolutionarily seen, man is a social animal in which two opposite behavioural tendencies are at work: on the one hand a focus on community and sharing, on the other hand a focus on individualism and taking. Which of these two prevails in the identity construction, is determined by the societal model. In the second section, he describes our contemporary society as neoliberal, with neo-liberalism as a new version of social Darwinism. The concomitant development of identity is, according to him, very negative, because it goes against the social nature of man. The organisation of education, scientific research and healthcare are used as case studies. In the final chapter, he argues that change will have to arise bottom-up given that the neoliberal ideology is now a part of our identity. Recently, he has turned to a new subject: patriarchal authority and its disappearance.